If you are interested in vaping and don’t know where to begin, starter kits are products that you should definitely look into. These are kits containing all that one would need in order to start vaping. This way, you don’t have to keep buying different accessories from different sellers which can be a hassle for one who is new to the vaping scene. Starter kit contents vary depending on the brand, but generally contain the vaping device such as a vape pen, e-liquid or other similar products and occasionally other accessories such as extra batteries, charging packs and carrying cases. Though usually marketed towards people who are new to vaping, starter kits can also be used by veteran vapers as well. Companies known to provide some of the best starter kits include Vaporesso, Phix, Bo and Eleaf, among others. Why Should You Choose Starter Kits? Discount Vape Pen stocks a wide variety of starter kits from numerous sources. 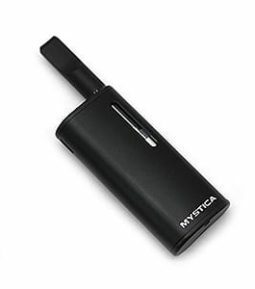 Our inventory is packed with products from the most highly rated manufacturers including Joyetech, Vaporesso, Smok and Mystica. Our extremely wide variety means that an individual can find a starter kit that will suit them with relative ease. With low prices and free same day shipping, you are unlikely to have a better shopping experience in any other online store. Check out our inventory today for one of the widest selections of starter kits at unbelievable prices!